M&T Bank is a multi-state community-focused bank serving New York, Maryland, New Jersey, Pennsylvania, Delaware, Connecticut, Virginia, West Virginia and Washington, D.C. 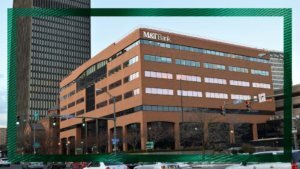 Founded in 1856, M&T Bank provides banking, investment, insurance and mortgage financial services to more than 3.7 million consumer, business and government customers. Across the Greater Rochester region, M&T has more than 425 employees, 30 offices and a new regional headquarters at 3 City Center, Rochester. Each day is not just a business day at M&T; it’s an opportunity to make a positive contribution in the community. From the arts organizations that enrich our lives, to the educational programs that build our futures to the civic causes that bring our communities together, the bank dedicates dollars and volunteer hours throughout its footprint. 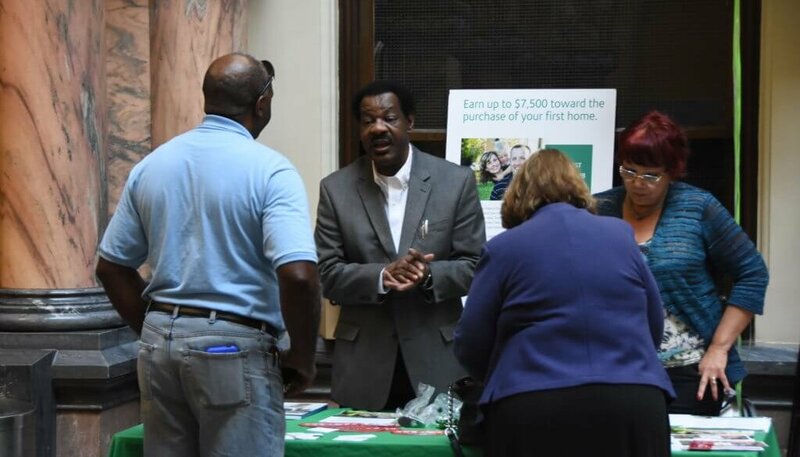 • M&T personal finance experts, investment and retirement specialists work with local community organizations to offer free financial literacy workshops throughout the year. Sessions help residents strengthen their financial capability, prepare for long-term financial well-being and address key life events. • M&T offers annual scholarships of up to $25,000 to two Rochester City School District (RCSD) students who are admitted as undergraduate students to the Rochester Institute of Technology (RIT) Saunders College of Business. 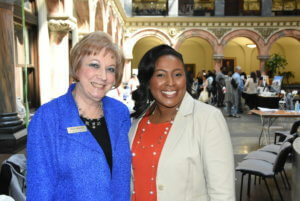 The scholarships provide financial assistance for tuition not covered by other financial aid. To learn more, visit https://www.rit.edu/diversity/mcas/programs/rochester-city-scholars. • Each year, M&T provides charitable funding to the YMCA of Greater Rochester in support of their The Financial Assistance (FA) Program, which helps local individuals and families in need of financial support with Y membership and program activities fees. To learn more, visit https://rochesterymca.org/financial-assistance. M&T protects their customers’ savings and help them make purchases—from everyday items to new homes—so they can achieve their financial goals. • M&T and The Federal Home Loan Bank of New York work together to provide down payment and/or closing cost assistance to qualified first time homebuyers who reside in, and are looking to purchase a home in, New York through the M&T First Home Club Program. For every $1 that is saved, $4 will be granted for a total of up to $7,500. For more information, call 585-258-8355. M&T provided financing and support to several major developments taking place in Center City, including Tower280, The Metropolitan, Xerox Tower and others. In fact, they’ve provided almost $250 million to finance projects throughout downtown over the last 10 years. M&T Bank also worked with the developers of 3 City Center to provide financing for their new headquarters building. With the work of the development team Three City Center Partners, this building has been transformed into a contemporary office space. M&T is the sixth largest Small Business Administration (SBA) lender in the nation and the number one lender in many of its markets, including in Rochester. Small business loans mean more entrepreneurs have the chance to start companies. Entrepreneurship solves new problems, drives new spending, and most importantly, more new jobs! Customers can bank with M&T at more than 30 locations across the Greater Rochester region. So whether you have an account in Rochester or need to find an ATM in Honeoye Falls, they’re close by. To find a branch near you, visit https://locations.mtb.com.